Are you unhappy with your smile? Do you want to change your smile to improve the color, shape or length of your teeth? Or change the appearance of your gums or lips to give your overall smile a more appealing look? If you ask yourself any of these questions below and can answer “yes”, then you should make a complimentary consultation with us to discuss your smile options. 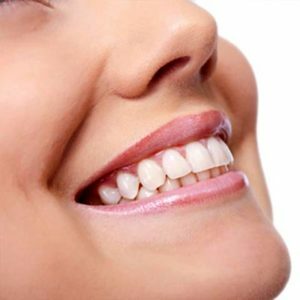 At Welcome Smile Dental, a smile makeover may involve one or more cosmetic, dental or facial rejuvenation procedures to improve the esthetics of your smile. While a smile makeover to one person could mean something completely different to another, it is a very individual choice which can either be based on form or function, or both. For example, some people want that perfect Hollywood smile, or a celebrity smile with those pearly white porcelain veneers. Others may just want a to achieve a more natural looking smile by replacement of amalgam fillings with composite and teeth whitening. Crooked teeth can be straightened with Invisalign braces or conventional orthodontics. They can also be covered with porcelain veneers for a faster solution. However, your teeth will need to be prepared for the veneers. Chipped, broken teeth can be repaired. But the treatment course chosen will depend on the extent of damage. However, your options include procedures such as cosmetic bonding, porcelain veneers or porcelain crowns. If you are not satisfied with the color of your teeth, or if you have badly stained teeth, they can be treated with prophy cleaning or professional teeth whitening. The end result of a smile makeover for many people is a smile to be proud of, one that is straight, one that has proper form and function as well as white teeth and proper alignment. Call Us at (403) 261-8855 to book your Smile Makeover consultation appointment today!